Indeed, Brownback himself famously called Kansas’ incoming, one-party rule a real-world experiment in GOP fiscal and social policies. He and his allies wasted no time installing the supply-side economic idea that tax cuts will stimulate economic growth, a sure-fire, fiscally responsible way to grow the economy. “Our new pro-growth tax policy will be like a shot of adrenaline into the heart of the Kansas economy,” Brownback wrote in a Wichita Eagle editorial in July 2012. What followed, however, was an economic face-plant: growth flatlined, state revenue dried up and the conservative brain trust found itself on the business end of consecutive nine-figure deficits. I know nothing about Kansas politics, so am in no position to comment (you are welcome to, however). But I do know something about Louisiana politics. We are in a terrible mess here, and most (but not all) of it has to do with Republican misrule. Wait … what? We all know that higher education has been gutted, year after year, under Gov. Jindal’s rule, aided by the Republicans, who control both houses of the legislature. And we also know that the state constitution, thanks to voter-approved amendments (note: not the Republican Party, but Louisiana voters), has firewalled almost all of the state budget from legislative cutters, leaving only public health and higher education to bear the brunt of any budget cuts. But LSU, bankrupt? How does such a thing happen? Kenneth calmed me down and said it looks like the legislature is going to pull out some funding at the last minute (the session ends this week). “So who is going to pay the price for saving LSU?” I said. “The poor,” he said, referring to the severe cuts headed to public health. No, they don’t, and the rest of us don’t feel an obligation to provide much in the way of basic health care for them. Kenneth joked without really joking that if the people of Louisiana realized how close they came to losing LSU football this coming season, they would have rioted outside the State Capitol. But losing LSU academics? Yawn. Of the 11 tax measures approved by the House, most were approved by a majority that fell short of the two-thirds that would be needed to override a gubernatorial veto. About 25 to 35 Republicans in the 105-member House seem likely to vote against most revenue-raising measures. Jindal previously told reporters that he would veto the budget if it contained a net increase in taxes, meaning that the dollar amount in higher taxes was greater than the offsets created through the passage of tax cuts and tax credits. A veto of either the budget or the tax measures threatens to force a shutdown of state government when the new fiscal year begins on July 1, including LSU and the other public colleges and universities, because the state, unlike the federal government, cannot spend money it does not have. A veto session cannot take place until July 21, under the state constitution. Also up in the air in the budget fight is the size of the state cigarette tax increase, the future of the solar energy and film tax credits, and to what extent businesses will lose a variety of tax exemptions. Legislators began the session two months ago facing a projected $1.6 billion budget deficit, after passing a budget last year that they balanced with $1.2 billion that wouldn’t be available this year. Since the session began two months ago, legislators have been trying to fill the $1.6 billion budget gap through a series of spending cuts and revenue measures that would raise the state cigarette tax, scale back the solar energy and film tax credits, and roll back a small portion of the tax breaks given annually to businesses. Smokers and businesses would have to accept a higher tax burden, Republicans and Democrats alike have said, because balancing the budget through spending cuts alone would fall on Louisiana’s colleges and universities and public health care with devastating results. But in closing the budget gap, legislators would have to do it while complying with the anti-tax pledge that Jindal signed in 2003 with Americans for Tax Reform, a national anti-tax group headed by Grover Norquist. The group’s rules do allow tax increases, Norquist wrote in a letter Monday to Louisiana legislators who oppose the SAVE fund. “Removing tax credits or deductions while reducing the tax rate so that the total bill is revenue neutral is not a tax hike,” he wrote. It makes me want to tear my hair out that a Washington activist dictates policy to the Louisiana legislature, because he’s got Bobby Jindal and all the GOP presidential candidates in his back pocket. How many Grovers can dance on the head of the Governor’s veto pen? The legislature — again, GOP-dominated in both houses — is in a strongly anti-Jindal mood, but the governor of this state does have powers. Jindal is term-limited out this year, so he won’t have to suffer the consequences of vetoing the budget and shutting down state government. And he’s running for president, so all he cares about are the GOP primary voters in Iowa and elsewhere — and, naturally, Grover Norquist. So yes, Louisiana has suffered tremendously from years of Republican misrule, and the Democratic Party is flat on its back. That said, it’s important to keep in mind how so many of our problems are self-inflicted. If our leaders are bad, so are our followers. Like I said, the state constitution is set up to straitjacket the budgeting process. There are vast areas of the state budget that cannot be touched. That’s a constitutional problem. We desperately need to call a constitutional convention to fix these structural problems. On higher ed, though, there’s a political problem that’s not so easily solved. Louisiana has a sprawling public university system. We have 14 four-year public universities. As Kevin Boyd of The Hayride points out, Florida, with four times our population, only has 12 state universities. And more than a few of our state universities have abysmal graduation rates. The only reason for them to exist is that they satisfy political constituencies. Nobody in the legislature wants to make schools in their own districts vulnerable by trying to close somebody else’s. And no governor wants to lose the votes of a region by presiding over the shuttering of their local colleges. Louisiana’s public colleges are hoping for the best but preparing for the worst as they face a drop in state funding of up to 82 percent. As the state legislature fails to make headway covering a $608 million shortfall in higher education spending, its public colleges are bracing for the prospect of budget cuts so deep some institutions — including the state’s biggest public flagship — might have to declare financial exigency. That’s college funding-speak for something akin to bankruptcy. The potential threat to Louisiana’s public colleges is unprecedented, said Jordan Kurland, associate general secretary of the National American Association of University Professors. Under financial exigency, a bankruptcy-like status that gives institutions a legal pathway to change contracts or other financial obligations, schools would have more freedom to lay off tenured professors or eliminate programs and departments. “We need to have every tool at our disposal to survive,” said F. King Alexander, president and chancellor of the Louisiana State University system, who added that the school still hoped to avoid exigency. “We’re optimistic that we can get through this but as managers of the institution, we’ve got to play out every scenario,” he said. Though this political problem has been building through both Democratic and Republican legislatures and governors, and though the state constitution hamstrings the legislature and governor, no matter which party they belong to, the fact is that ours is a deeply Republican state, one that has been governed for seven years by an extremely ambitious Republican ideologue. Bobby Jindal is holding this state hostage to his presidential campaign — and it looks now like there still aren’t enough Republican votes in the legislature to override his vowed Norquist-dictated veto. And everybody knows Jindal means it, because to him, serving Jindal for President is not only the most important thing, it’s the only thing. Besides, when his campaign fizzles out on the launching pad, he won’t have to live here or raise his kids in the mess he’s made. He’ll be off to the Imperial City, Washington, where he will take some kind of job in the next Republican administration, or become part of GOP, Inc. I don’t know what’s the matter with Kansas, but I do know what’s the matter with Louisiana. It’s a deep and complicated problem, but it’s been made much worse than it had to be by Republican ideology and Republican incompetence. But the poor don’t vote, and too few of us Louisianians of any race or class pay attention at all. Posted in Louisiana, Republicans. Tagged GOP, Louisiana, Bobby Jindal, Republicans, Kansas, LSU, Grover Norquist, higher education, budget. That’s pretty huge for the size of the state. Illinois has 13 public four-year universities – and three times the population of Louisiana. It included the sentence: A group of self-described “conservative” Republican state representatives took their complaints to Norquist himself, asking him to give them some wiggle room on raising taxes and to shoot down some Jindal-backed legislation that they say would set a “dangerous precedent” in how government could mask revenue hikes. As Rod notes, and I want to highlight as I join him, I am utterly astounded and confounded, blown away, that some unelected politico-activist who lives in DC can effect the lives of millions in a state 1000 miles away like these, leaving elected legislatures to “beg” him for something. (And, oh yes, he responded negatively to the letter). (Salon headline: Grover Norquist breaks the GOP: Why Louisiana conservatives are begging for the anti-tax crusader’s mercy; PoliticsUSA headline: Bobby Jindal Remains Grover Norquist’s Puppet Governor Despite Louisiana Budget Mess . Noah 172: The Dems nowadays are also virtually unanimous in their support of open borders . . .
As for culture wars, the left has always played that game harder than the right. The right would not have to react against gay marriage, affirmative action, abortion on demand, politicized education, and other culture war flash points if the left had not created those causes in the first place. This sounds like the husband in divorce court, complaining that there wouldn’t be any problem with the marriage if his wife hadn’t brought up his infidelities. Oh, well. I wasn’t going to mention it…(blush)…. but since someone else did… send the college-bound tykes to us! Here in Massachusetts we have a decently-funded system of public higher education, and an overall state tax burden in the middle of the pack. I’ve heard there are some quite reputable private universities around here as well. And we have better oysters than you. Noah172, I didn’t excoriate the Democrats as much as I could have, but FWIW in 2011 I changed my party registration from Democratic–which it had been since I was old enough to vote in 1981, thirty-four years ago–to Independent. I don’t change affiliations lightly, but my disgust with the Democratic Party had grown enough for me to jump ship. I dislike the GOP more–it’s like a metastatic cancer to the Democrats’ slower-growing tumor–but I want to be clear that I’m no particular friend of either party at the current time and will probably vote third party in 2016. I also should be clear that I think the culture wars are a bit of a ruse for both sides. False consciousness isn’t just on the right. I’d give the Left this much: I think it’s good that gays don’t have to be closeted any more, and I support anti-discrimination legislation. The Right would have been fine with the closet persisting forever. To that extent, I support the Left on gay issues. Having said that, if I were gay, I’d be mad as hell that the LGBT movement was wasting so much energy on SSM and such, instead of trying to fix the economy and environment. I would consider that against my interest and that of everybody. It’s not a matter of bamboozled hicks–it’s that neither party seems to be pursuing policies that might, you know, arrest the evident decline of our country; and people on both sides seem blithely willing to vote against their best interest. I won’t go all Marxist, but I do think that to an certain extent the culture wars are indeed a smokescreen; though the GOP, at least, seems to be discarding that as a strategy. Finally, you are correct that there is nuance. I don’t want miners to be out of work. On the other hand, my parents got about $10,000 a few years ago as part of a class-action suit because of pollution from a coal-washing plant in town. It wasn’t frivolous–whenever we’d visit for the weekend, my car would be coated with a thin coat of coal dust by the time we went home. An intelligent policy would try to shore up miners’ rights (the UMW was crushed in the 80’s, resulting in a more precarious position for the miners) and to try to figure out cleaner ways of using coal while at the same time working on economic development against the day that coal is either no longer there any more or no longer used, or both. Historically, extractive industries–and I follow Wendell Berry on this–are in the long run bad not only for the environment, etc., but for the very people whose jobs they create. They come in, remove the resources, and leave. That’s why there are ghost towns in the West, y’know. The controversial Buddhist teacher Choumlgyam Trungpa–I dislike him, but he had some felicitous sayings–used the term “idiot compassion”. That is, a sort of condescending pity that didn’t really actually help the person towards whom it was directed. In that vein, I’m not an “idiot environmentalist”. It’s easy to be green this, green that, while not caring about real people’s livelihood. On the other hand, I’m not an idiot supporter of coal, either. It’s like an addiction–once the drugs run out, crash. One way or another, coal will eventually end; and no one in Appalachia is preparing for that. The broader point is that no one on either side of the aisle gives a damn about good paying jobs for the non-college component of the population, let alone those on the left end of the bell curve, of whatever race or ethnicity. It’s all about exciting white-collar jobs for the few, and screw everyone else in flyover country. Actually, if you look at election results, the Democrats didn’t lose the South immediately after the Holy Year of 1964. Nor did most of the Southern segregationist politicians switch parties. The Ervins and Fulbrights were far more common than the Thurmonds. This is a carefully constructed and mendacious narrative seeking to tar (so to speak) the modern GOP in the south (and its voters) with segregationism. The modern GOP politician in the South is modeled on John Connolly. Yes, because black dominated Democratic governance has shown itself to be such a winner from Newark to Detroit to the Holy City of Selma Itself. No. And here’s why. Democrats, the ACLU, and just about everyone on the Left is against absolutely any attempt to enforce immigration laws for just about anyone in this country. * Once here, it is olly olly oxenfree. That is a de factor endorsement of open borders. *The possible exceptions, ex-dictators from the Third World and octo and nonogenarians who may or may not have served in very low level roles (under duress) in the Nazi regime. The one Senator actively championing the cause of working Americans against the Cheap Labor and Ethnic/Racialist lobbies? Why should whites be happy about transfer of our wealth to other groups, particularly as we shrink as a percentage and those other groups have not shown any inclination to give up their own racialism/ethno-centrism? All the more so because transfer of white earned dollars goes so often into subsidizing the reproduction of said ‘minorities’, when we cannot afford to have big families of our own? The Kansas legislature has decided what to do about the budget shortfall. Rather than going through the budget and finding 6.7 million dollars in “waste”, they’re just doing an across the board 6% cut in everything. Since a large part of the state budget is the schools, that’s a huge cut in the school budget, which the voters very much don’t want. Meanwhile, small businesses remain tax-free. A lawyer who has a secretary in a one-man office doesn’t pay income taxes, while his secretary does, and that’s an untouchable policy now. I’m so afraid they’re going to destroy the schools, and with it, our property values. I’m trying to recruit for a position for a new college grad, and not getting any applications even though it’s graduation season. Are they young people heading elsewhere? It’s sickening to watch these idealogues destroy my state. Gretchen,my dad is from KS & my mom from NC,they’ve also retired to NC. They both can tell anyone willing to listen how GOP governors & legislators in those states have made them vastly less appealing to anyone who is educated and cares about a good quality of life. KS used to define middle of the road,old fashioned Midwestern pragmatism. Brownback & Co have destroyed that as you well know. Good luck in recruiting for your open position,it will probably not net the sort of candidates you would prefer. As for NC,it was always a moderate Southern state that invested in education and that investment had paid off in the form of the Research Triangle,the financial center of Charlotte and many other businesses. People are more likely to relocate to a state that has good schools for their kids and is politically moderate. McCrory & Co have tarnished the state’s reputation significantly and my parents are astonished and thankful they have neither kids or grandkids in state. I think in Mccrory’s case he may go down in the next election- there may be hope for NC. I hate to think of KS when Brownback is finished with it. Couple of things: first, a general rule, small government deficit, say 1-2% of GDP, is not in itself a bad thing. Second, one thing to point out that our “selfish consumption” does buy something important: civic peace, and , until recently, cross-generational transfers within families (instead of spending all the money on grandmother’s treatment, families could spend it in education and housing, and thus build up nest eggs, once the gvt. established MEdicare. The problem is that, starting in the 1980s,2 things happened: more and more money started flowing to people who make their living from capital gains, so less and less of the economy is taxed, and we decided to spend as much on the military at peacetime as most nations do in wartime. The gap between “normal”deficits and the pile up we are having is almost entirely attributable to these 2 factors. Have a look at Owsley County in Kentucky. It’s almost entirely White, has more than half the population on various form of disability, was an eager adopter of Medicaid expansion ,and yet voted something like 85% for Mitt Romney. How many of those Romney voters were complaining about leeches stealing their money, while getting their deserved disability? Money is not transferred from groups to groups. We do not have common property of that sort here outside a few monasteries and communes. Taxes are collected from individuals (including the faux “persons” called corporations) and transfer payments go to individuals. If you want to go the Ayn Rand route, by all means complain about it, but group-think is no where part of the discussion. Re: A lawyer who has a secretary in a one-man office doesn’t pay income taxes, while his secretary does, and that’s an untouchable policy now. How does that work? I am very skeptical it’s possible. I have never heard of a state income tax that did not start out by instructing taxpayers to enter their federal adjusted gross income from form 1040, which in this case would include the lawyer’s income from his profession. If you are talking about corporate entities of course that may be a different matter: maybe Kansas excuses businesses from paying taxes, but I have a hard time believing the lawyer isn’t paying taxes on his personal income while the secretary is. Once again, m_Young, no one mainstream is in favor of “open borders”. It’s a red herring, full-stop. Many politicians, heck, probably, almost all of them, favor higher levels of immigration than you do. I understand that. But you should label that as “outrageously, dangerously, absurdly high levels of immigration”, not as “open borders”. Outside the libertarian crazy soirees you will never hear anyone argue for eliminating the INS and tearing down the customs stops on our borders– which is what open borders would entail. Gretchen: Are they young people heading elsewhere? Yes. Those that have the means to do so, anyway, and they’ve been doing it for a generation. I’m a Kansas native myself. Born in Wichita, grew up in Russell, went to college in Wichita. I left in 2003 and have no desire to move back. It’s sickening to watch these idealogues destroy my state. Yes. But, the majority of voters elected them to do this. For Kansans, this is a self-inflicted wound. Things are going to have get worse before they get better. Kansans have been drenched in far-right political and economic propaganda for decades. Getting them back to something resembling sanity isn’t going to happen overnight. To paraphrase H.L. Mencken, democracy is when the people get what they ask for, good and hard. Nothing deprograms like first-hand experience. That said, if you can’t bear to ride out the b.s. tsunami, do what I did: vote with your feet, and leave. I won’t defend Jindal, because I don’t know enough about his record and his state, but I will defend Grover. His insight long ago was that the only way to address the very serious problem of government consuming and spending so much of our national wealth was to crack down on the revenue side. Hence “The Pledge.” There is surely plenty more waste to cut in the federal and state budgets, and I include the budgets of the state universities. Please refer to the “Valorizing Deadbeats” post and comments for ideas on where to cut. It is not Grover’s fault that the appetite for spending on the part of the Solons of the Louisiana, Kansas (and New York) state governments exceeds the capacity of their state economies to generate revenue. That wonderful quote from Russell Long, “Don’t tax you, don’t tax me, tax that feller behind the tree,” might be paraphrased in this discussion as “don’t cut my spending, don’t cut your spending, don’t cut anybody’s spending. His insight long ago was that the only way to address the very serious problem of government consuming and spending so much of our national wealth was to crack down on the revenue side. 64% of NYS Budget goes to those three items, please feel free to tell me which we should cut, and how many people we should let die on the streets. I haven’t looked at the other state budgets, but I would be shocked if they were all that different. That is a cowardly travesty. No person of integrity deals with revenue divorced from expenses, or expenses divorced from revenue. No person with the courage of his convictions would fail to address from the beginning “I want taxes brought down to X, and the way to make that possible is to repeal, cease, stop, end, A, D, and G.” Norquist’s opportunistic strategy was an end run around fiscal responsibility, because he knew that presented with a full deck, a majority would vote to keep taxes high and have government do things they wanted done. It is the chimaera of “lower MY taxes and cut THOSE programs that I don’t care about” that allowed the accumulation of an unstable majority of people whose delusions overlapped in a fiscally unsustainable manner. If a political candidate ran on a platform of reducing the income tax rate to a mere 1%, along with amnesty for evaders of even that modest levy, would you not conclude that said candidate was effectively in favor of income tax abolition? If a political candidate ran on a platform of increasing the legal blood alcohol limit for driving to 0.24 — a level triple what most states allow currently, and one so high that many people couldn’t reach even if they intended to do so — along with amnesty for drunken drivers, would you not conclude that said candidate was effectively in favor of “open driving,” so to speak? then is it not at least arguable that one can be characterized as favoring “open borders”? * I used to be represented in Congress by the last full-spectrum immigration restrictionist Democrat, for whom I voted. Shame he went down because Obummer/Pelosi/Go Team Red rah-rah. ** The 1986 amnesty proponents promised legalization for only a few hundred thousand illegals. Ended up being 3 million. If the promise now is 12 million, the real figure would be, what, 50 million? Yeah, once in a while. Year after year, decade after decade, and usually (since mid-70s) more than just 1-2% of GDP? Not good. Education and housing? Didn’t Rod just post a thread about the burden of student loan debt? And housing bubble, anyone? Average house cost 3x average income c. 1970, just after Medicare’s creation and before it cost relatively much, but then climbed steadily to 5x by 2007. Now, even after the bubble bursting, the ratio is still 3.5x-ish. BTW, the first Medicare payroll tax rate was 0.7%, on wages capped at ~48k in current dollars (6600 in 1966). Today the rate is a bit over 4x higher, 2.9 (where it’s been for almost 30 years, not a recent rise), with no wage cap on the employee portion (and thus none for the entirety self-employed wages). And the Medicare tax only provides a fraction of the program’s expenses. So we are paying more for grandmother’s treatment, our housing, and the kids’ education, going into more debt for all three, all with no end in sight. No argument from me about the inefficient and inequitable slant of the tax code since at least 1981. Then again, that same overly-capital-friendly tax code managed to bring in surplus revenue in fiscal years 1998-2001, and as recently as 2007 managed to reel in a not-shabby 18% of GDP. Money is not transferred from groups to groups. We do not have common property of that sort here outside a few monasteries and communes. Taxes are collected from individuals (including the faux “persons” called corporations) and transfer payments go to individuals. On the aggregate, people who identify as white pay more in taxes and people who identify as black and Latino get more in benefits. Don’t try to obfuscate this behind some high-handed word games. In my experience, people who accuse other Americans of “xenophobia” tend to be anti-white sleaze. I think there is a problem with Norquist, but it isn’t an issue of “moderates vs. extremists.” It’s an issue of the corporate wing of the party vs. the populist and socon wings. Grover has managed to make low taxes the primary issue, and to make this the litmus test rather than religious freedom, immigration, etc. That’s the problem. It’s not really Republican extremism, it’s what issues they are willing to be extreme on. And part of this, of course, is due to the race/gender/sexual orientation, etc. issue. Because we are forbidden from ever thinking “discriminatory” thoughts, all issues have to be reduced to economics in order to be able to take a conservative position. Grover Norquist matters for this reason: The wealthiest now pay effective tax rates (all taxes included) of about 20%, while you pay more than 40%. This year those earning between roughly $89k and $118k now pay a higher percentage of their income in all taxes than any other group. Shifting the tax burden downward was intended to create an anti-tax sentiment. The goal was to get us to be as fed up about paying 40% or more of our incomes in total taxes as the investor class is at paying less than 20% of their income in all taxes. Somehow when this is pointed out it is decried as “class warfare” but when calls are made to cut welfare payments in order to further cut taxes at the top that is “fairness” and not class warfare. This reflects a truth: The poor don’t vote, while the wealthy own the campaign. South Dakota’s heavy reliance on the federal government (accounts for ~40% of state revenue) is not something that every state can/should replicate — in fact, in Minnesota we often joke that South Dakota has low taxes because we pay for its roads. But Jon is right in that Northern and Southern Republicans are of somewhat different breeds. I think that the latter tend toward racial fatalism — seemingly evident in the quoted comment — which discourages investment in public infrastructure, education, etc. Native Americans, in many respects, are the most troubled ethnic group, but there are so few of them in South Dakota that there’s little hand-wringing over public monies being wasted on improving their welfare. JonF, as Noah172 points out, the pro-amnesty people are not just asking for higher levels of immigration, they want to let virtually everyone who wants to come here come here. They want to excuse people who violate whatever meager immigration laws we have and make enforcing our immigration laws impossible. It’s near enough to “open borders” that you are just nit-picking. It’s like those politicians who proclaim that they are against “amnesty” but then support a policy that is virtually identical to amnesty but with some minor provision to make it not entirely fit the dictionary definition of amnesty. They’re not fooling anyone. panda: Have a look at Owsley County in Kentucky. It’s almost entirely White, has more than half the population on various form of disability, was an eager adopter of Medicaid expansion ,and yet voted something like 85% for Mitt Romney. How many of those Romney voters were complaining about leeches stealing their money, while getting their deserved disability? Exactly! It’s always someone else who is leaching off the system, not them. Not only that, but take a hard look at all those counties that have 25%-50% of the population receiving government assistance. Think about what would happen if that government assistance disappeared. Would there be a Wal-Mart, a Kroger, a single McDonald’s that could sustain itself if literally 25%-50% of an area’s economy disappeared overnight? No. Almost every person who has a job in areas like that are themselves entirely dependant on government handouts too, just indirectly. But yet they’ll rail against them until they’re blue in the face. “No argument from me about the inefficient and inequitable slant of the tax code since at least 1981. Then again, that same overly-capital-friendly tax code managed to bring in surplus revenue in fiscal years 1998-2001, and as recently as 2007 managed to reel in a not-shabby 18% of GDP. 1. There is no significant element of the American welfare state anyone outside moneyed elites is willing to cut, because the American welfare state, and the middle class who relies on it for existence, is threadbare as it is. 2. We had a huge change in the distribution of wealth, moving from the middle to the very pinnacle. 3. At the same time, we had a a rebuilding of the tax code to make taxes the pinnacle pays lower. 4. As a result, we have a situation in which Mitt as JonF pointed out, a moneyed hedge fund manager pays less in taxes, proportionally speaking, than ,say an insurance agent. 5. The combination of the threadbare nature of the welfare state( and I interpret this term vey widely- it includes, in my view, education) combined with the relatively high levels of taxation they pay, made those insurance agents anti-tax and anti-government. 6. I think the solution to this problem is as self-evident as it is politically impossible: first reform the tax code to make taxes go where the money went, radically. (I.e, equalize taxes on labor and capital, and radically increase the amount of tax brackets: right now, someone who makes 10 million dollars a year pais as much as someone who makes 500K. Create a bracket for 1 million, and 5 million, and 10 million, and 25 million, and 50 million and 100 million, and 500 million. the amount of people such brackets will cover will be tiny- the tax income, stupendous.(. Once that is done, then we can assess what exactly people are willing to give up re: welfare state. I live in Kansas, although I’m originally from the Northeast. Normally I don’t particularly care about local Kansas politics, but I have friends, both Republican and Democrat, who are passionately involved. The Republicans insist that government spending, particularly on the schools, is out of control and incredibly inefficient, and that this budgetary drama is necessary to break an “addiction to taxes”. The Democrats, of ,course, think Brownback is destroying the schools (and everything else) in order to give the wealthy a tax break. Based on the information I can gather, there is some truth to both narratives. But it is difficult to know exactly what the truth is, because one is making their case based on facts and reason…I have seen both sides deliberately distort the numbers in order to support their positions. Mostly they’ve just ratcheted up the partisan rhetoric as the situation has gotten worse. And this is why politics thoroughly disgusts me. Hebert Stein say hello to Mr. Social Security. If even if insolvent the politicians will make it stays functioning in some fashion. No one should cry for the majority of citizens (at least those who took the time to vote) in Kansas and Louisiana who are getting exactly what they voted for: politicians who took unrealistic pledges and one-party states based on race or gerrymandered districts. Enjoy! In the Louisiana case however, this is a perfect example of what happens when eliminate “conservative Democrats” (or in Kansas “moderate Republicans) from the political scene. Being such a Democrat meant you fit in the home state culturally without being welded to unwieldy ideology of Grover Norquist, sort of like what TAC is for example. Nope, no such Democrats now because “conservatives’ insisted every one had to be in ideologically based political parties. Talk about wanting to be just like Europe. As a result Republicans are stuck. They either have stick together to the dogma and send the state into an economic meltdown or rule in a coalition with what Democrats there (which is essentially what Thad Cochran did in Mississippi) thus splitting the GOP in two. Now, since we’re talking about budget realities and poor states having 14 college campuses they can’t afford, ask yourself which of those schools are going to close? The black ones? Hmmm? Is Louisiana Tech or Louisiana-Lafayette on the chopping block too? Are we going to have a University Closure Committee just like with military bases? Because that’s a lot of middle class jobs you’re proposing go up in smoke in a poor state because God forbid the State of Louisiana should quit subsidizing rich people, the oil and gas industry or Hollywood movie companies. Ask yourself this: For all the low taxes available and lost cost of doing business and living? Why isn’t Louisiana the economic engine of the U.S.? Shouldn’t every business be moving there if you believe the supply siders? Let me say this, it’s easy to be a supply-sider with the Federal budget which get just print money than a state which requires a balanced budget in the constitution. So did King Grover let them “wriggle” out of their pledges? Re: JonF, as Noah172 points out, the pro-amnesty people are not just asking for higher levels of immigration, they want to let virtually everyone who wants to come here come here. And as I replied to Noah, that is a slander and a lie. You and Noah are just playing the old demagogue’s game of imputing radical or evil motives to people you disagree with. I have zero respect for that tactic, and that includes when the Left does it (which is not uncommon, no). There is a pro-immigration Left and of course a pro-immigration Right: both want to let in a lot more people than you do– probably a lot more people than I do for that matter. But they are not in favor of letting in “everyone and anyone”. No, they are not. You can find that notion in the more radical libertarians, but not a one of those people are in any position of significant public trust. Three years ago I visited my cousin Mary in Tucson. She took me down I-19 to shop at the artist colony of Tubac and to see the ruins of a nearby Spanish mission– just a few miles north of the Mexican border. On the way back to Tucson everyone had (and still does) to stop at an INS check point to verify there were no illegal aliens being transported– and this some miles north of the border, and yes, Obama was president in 2012. Does this sound like a government that desires “open borders”– immigration check points miles from the border hardly seems consonant with that goal! Why all this ranting without knowing all the pertinent specifics? After all, it is no easy process to wean states from the Federal teat. “. . . the best laboratory test case — that of Kansas City — reveals how well Brownback’s reform is working. Wilson called it a “living experiment” because half the city is in Kansas and the other half is in Missouri. In Kansas the top personal income tax rate is 4.9 percent beginning at $15,000 for a single filer, while in Missouri the top rate is six percent which starts at $9,000. Former middle class should vote! So is the football coach still the highest paid state employee? Football team over state education, let’s keep them priorities straight! @Hari.Seldom, I would slash all the programs you list, at the federal and state levels, and I can assure you no one would die on the street, especially in NY State, where the amount of waste and corruption embedded in those huge numbers you cite is beyond belief. That should have been @Hari.Seldon, not Seldom. @Siarlys Jenkins, the cowards are the public officials who are dishonest with the voters and prop up their careers buying votes with other people’s money. Or perhaps you admire the government of Greece for persisting in the kind of behavior Grover is trying to stop here. Part of the solution for Greece to to soak the rich with enough taxes to pay the bill, while leaving them enough of a living that they keep enterprises going. Nobody ever walked away from a million dollars because they would only get to spend a measly $500,000 of it. The Grover Norquists of Greece created this mess — let them pay the piper. Blanket austerity is not only unfair, it is poor economics, because it will badly stunt economic growth. Your comment about who the cowards “really are” is about on the same level of maturity as “I am rubber you are glue…” beloved of elementary school students. You have not in any way removed to stain of cowardice from the Grover Norquist brand. I can agree that politicians who prop up their careers buying votes with other people’s money is a problem… e.g., those who don’t want the military bases in THEIR district touched? A little honesty all around would be refreshing: no program without a statement of the tax revenues to pay for it, no tax cut without a statement of the programs to be cut. Grover Norquist’s strategy remains what it has always been: an end run around honesty, defended at best with a clever tu quoque ribbon tied around it. @Siarlys Jenkins, I’ve known Grover for 35 years, and he is smart, realistic and principled, and very far from cowardly. I really doubt from what you have said that you have read anything he has written on these subjects, as you seem to be relying on caricatures of his views. If you think he is mistaken in his view that government is consuming far too much of our national wealth, where would you set the limit? If you think I am immature to doubt the courage of our elected officials in addressing taxing and spending, who are the examples of statesmen I should be studying? As for Greece, I am afraid I find your analysis naive. The Greeks could have had all the sovereignty they desired had they not decided to become a welfare case for the rest of the EU. And as for soaking the Greek rich, and your idea that no one every walked away from a million dollars because he could keep only half, have you never heard of offshore banking? The Greek billionaires, and even the mere millionaires, certainly have. 1) I do not find your doubts immature Catherine, I find your presentation immature. I already stated why. 2) I’m sure Grover Norquist is a very nice man in person. My mother was good friends with a man I believe is utterly unqualified to sit on the state supreme court, and I have no doubt he is a nice guest at dinner parties. (I’ve never met him, only read his judicial opinions, which are deplorable). 3) I don’t need to rely on reams of denunciations from those who hate Norquist, nor do I need to read the details of what he has said or written. The fundamental principal of dealing with taxation divorced from program is fundamentally fraudulent, no matter how good his intentions. 4) As for Greece, I am afraid I find your analysis naive. First, the only reason that European central bankers were willing to consider doing anything for Greece is that they saw themselves getting dragged down if Greece went down. Part of the reason it got so bad is they ALL buried their heads in the sand until it got unavoidably bad. One could make a good case that this demonstrates why the Euro was a mistake. I think it probably was — to have a common currency without a common budget and economic policy is unsustainable, or sustainable only with a lot of expensive tinkering. But, they entered into it, and now they ALL have to pay the price, not just Greece. Now, remember, the WAY Greece became a “welfare case” is that the party in power, a conservative party in bed with all those rich people whose devious schemes you praise so highly, pursued a policy of keeping taxes low and collections of taxes owed lower. “The people of Greece” didn’t do this to themselves, their elites did it, for THEMselves. Oh, and European banks gladly made investments, confident that the EU would back them up — a problem we’ve had in the U.S. on an intra-national scale. There are ways to deal with offshore banking. The IRS is starting to learn, with some interesting results. Cooperation from other central banks certainly helps. But Greece does have a nuclear option: they could drop the Euro and return to the drachma. Before the Euro, a country as badly off as Greece would see its currency value go into free fall, have to cut back in imports considerably, but find its exports were now commanding a lot of interest in the global market, because they were so cheap in the currency everyone else was spending. This solution is what Europe can’t accept, because it would create chaos in the finance system. So, Europe will have to pay a price to sustain the Greek economy without Greece returning to the drachma. As for the fundamental question, where would I set the limit on how much of our national wealth goes to government, I would not accept such a question. It all depends on what we are getting for our money. If we are getting good value, no reason it should not be fifty percent. If we are wasting tremendous sums of money on something we could be getting cheaper if government stepped out of the way, let’s stop spending those tremendous sums. But I would only deal with it on a case by case, program by program, basis. And as my mother, the Republican and fiscal conservative in the family, always used to point out, the way to balance the budget is to make sure revenues are sufficient to pay the bills. If you want to reduce the bills, specify what you are willing to do without. As it is, Grover’s minions are telling people that you can have lower taxes and we promise not to cut your Medicare or Medicaid and don’t ask where the money will come from. That is precisely what is the matter with Kansas. That’s how people who benefited enormously from the Affordable Care Act, who say “it helped a whole bunch” can still vote to re-elect Republicans. Level with them. Tell them that they can have lower taxes if they are willing to give up their medical coverage. I used to drive a paratransit bus. The service is heavily subsidized. We were considered to be doing well if we averaged two passengers an hour, and just my hourly wage was $10 to $13 an hour at various times, not including investment in the buses, gas, maintenance crews, schedulers… But the tickets to ride were $3.25. I had a lady, with a legitimate disability, who lived in her own home, mortgage paid, who used the service to get to medical appointments and a senior citizens center. She told me she was voting to re-elect Scott Walker, because he kept her property taxes down (as county executive). I told her, if you really want to keep your taxes down, you could pay $15 every time you ride this bus (which was a low estimate). She replied “Scott Walker doesn’t have anything to do with that, some British company runs this bus.” (True — but you see the disconnect? Walker was in fact trying to find ways to cut back on the service). Incidentally, I’m in favor of PROPERTY tax relief, because it can be so regressive, among other things to people like this retired lady with a paid-off mortgage. I was active in pursuit of a half cent sales tax to fund transit. It would have increased the funding available, AND taken $135 off the average property tax bill. While buying a Christmas present for my niece in a jewelry store, I noted that if that measure had passed “I would have to pay a whole 50 cents more on this $100 purchase.” Well worth it. @ Siarlys – I am not as confident as you are that Europe will not end up driving Greece from the Euro thereby blowing the euro up. That said, I agree that the Euro as enacted was a bad idea. I am sorry about the above comment. That should have read @ Siarlys Jenkins. What is the status of the Louisiana State University State Press? Is it self-supporting or is it subsidized? I ask this because it is an outstanding academic press. I was Class of 1981 and a history major at Columbia College, Columbia University. Early in college, I discovered the LSU Press (“the Press”) was a great source for many excellent books on Southern history. It still is. Many of its books are not as well known as they should be. Therefore, the Press sells fewer copies than is should. I do not know if more aggressive marketing would make a difference. If the Press is forced to cut back upon its catalog, it would be a great loss to those who study or are interested in Southern history. @Siarlys Jenkins, you write: “the WAY Greece became a “welfare case” is that the party in power, a conservative party in bed with all those rich people whose devious schemes you praise so highly, pursued a policy of keeping taxes low and collections of taxes owed lower. “The people of Greece” didn’t do this to themselves, their elites did it, for THEMselves.” Um, first of all, you do realize that the people of Greece elected the government you are so exercised about? The “elites” were not parachuted in by the EU. As for my liking rich people’s schemes, you’re going to have to show me where I said anything to that effect. So, you want to think that all the problems in Greece was caused by conservatives helping rich Greeks have lower taxes. There was no problem on the spending side. If they had only imposed a very, very high tax rate, the Greek econonomy would have been the envy of Europe, because tax rates for the rich approaching 100 percent worked out so well for other Europeans (e.g., England and Sweden) back in the 1970s. All the rich people stayed in Europe and Sweden, and kept investing and paying taxes there, right? Only they didn’t, and those two countries elected conservative governments that cleaned up the mess quite effectively. Britain got a head start in 1979, but Sweden did a great job in the 90s. As for Grover, I don’t just know him the way your mother knew the judge you talked about. I haev worked with him on actual issues. So that is why I know this statement is ludicrous: “As it is, Grover’s minions are telling people that you can have lower taxes and we promise not to cut your Medicare or Medicaid and don’t ask where the money will come from.” Please show me one single quote from one person who has worked for Americans for Tax Reform to that effect. I doubt you’ll find one — in fact, I know you won’t. You don’t think you need to read a single word Grover or his “minions” write on actual issues, but perhaps others here might be interested to see what Americans for Tax Reform have to say on Medicare, one of the entitlement programs regarding which you are sure Grover is telling cowardly lies to the American people. Here is a sample from this March: “Reports are out that the U.S. House of Representatives may this month take up a plan to put in place large structural reforms to the Medicare system. This is a huge win for conservatives. Entitlement reform is the only way that the growth of government can be controlled this century.Particularly, the House is considering a plan that controls the growth of Medicare in two key ways. Over time, wealthier seniors would pay for more of their own Medicare benefit, and taxpayers would pay for less of it. This concept, known as “means testing,” already exists in Medicare. Seniors with higher incomes already have to pay for a greater share of their Medicare Part B (physicians) and Part D (prescription medicines) subsidy benefit. Under the House’s plan, this means testing would increase. That is a spending cut, and a common sense one. There is no reason why a working family should have to pay taxes to support a Medicare benefit for a recipient who can afford to pay more of it himself. Warren Buffet can pay for his own Medicare quite easily, and should do so.” See the problem with what you wrote now? Ryan Ellis, who wrote this, is one of Norquist’s most senior and long-serving “minions.” The short version for those (@Siarlys Jenkins) who don’t want to read this is “entitlement spending is a problem, the rich should pay their own way.” Here’s the link to the whole article, and you can find a lot more in this vein on the site, because ATR is all about tellig people the hard facts about government spending, where the problems are, and why cutting said spending is necessary: https://www.atr.org/medicare-reform-be-voted-us-house-representatives. Catherine, I’ll keep this short, because you are venturing into the highly emotional defensiveness of the True Believer, at great length. OK, you love what Grover Norquist has to offer, I get that. May God have mercy on you and him both, and frankly, I am one of those who believes God will credit you for your sincerity, even if you’re wrong. I’m not so sure about his sincerity. Do you take full responsibility for all the actions of the Obama administration because “after all, we elected him”??? Are you familiar with the concepts of gerrymander and buying elections? There IS a legitimate point in here, that a nation can’t simply walk away from its financial or treaty obligations merely because “that was the last government, we’ve had an election.” But the MORAL opprobrium you slather on this discussion is misplaced. You don’t know how well or how my mother knew the justice. I was quite sure you had worked closely with Grover — in fact, you said so. My mother volunteered for every Republican campaign over a period of forty years, and although judges are “nonpartisan,” this guy is a Republican, and had run for partisan office. Don’t quibble and don’t make assumptions in ignorance. There may be people in congress now who are blinded enough by their own ideology to propose major cuts in medical spending. They will face a backlash, and rightly so. In 1946, Republicans taking control of congress thought they were going to repeal social security. Oops, not if they wanted to win another election. 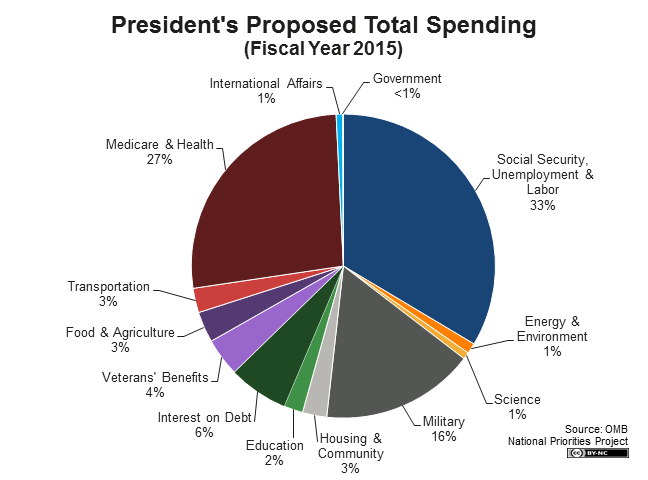 The hard fact about government spending is that you cannot cut taxes, increase spending, and balance the budget. Cutting taxes has succeeded at the polls by promising people you can have everything you count on from government, and lower taxes. That’s dishonest. Revenue is raised to be spent. The valid question is, what do we even want to consider our government doing, how much will it cost, is that worth the cost, and if so, how are we going to raise sufficient taxes to pay it? We could certainly have a point of agreement that rich people should pay their own medical expenses. But you know what comes next… why should rich people who are paying their own medical expenses be subsidizing the profligate careless spendthrifts who didn’t put aside enough for retirement on their $7.75 an hour wage? Pretty soon we’ll phase Medicare out entirely. That’s the long term Grover Norquist plan. Grover Norquist is a deceptive, conniving, manipulative propagandist. To date, those holding political office who align with him have tried to have their cake and eat it to, by holding the line on taxes while running up huge debt. But you know what? It just would NOT be beneficial to shrink government until it is small enough to fit in a bathtub and then drown it. That is a very destructive idea. @Siarlys Jenkins: This response was short? I’d hate to see long! But you still miss my entire point about the tax evasion of the rich. I think it is a very, very bad thing for them to do. My point is that you can’t stop them from taking their money wherever they want to go. Hence the travails of Greece, and its predecessors in profligacy, Britain and Sweden. You really do refuse to look at any evidence that contradicts your views, don’t you?